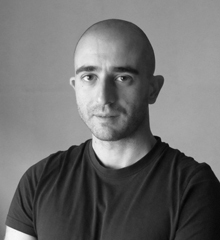 Rosario graduated in Architecture at the University of Rome “Sapienza” in 2007 and collaborated with architectural firms specialized in building’s restoration, urban planning and residential buildings design. In 2009 he took the 2nd place in design competition “PontèPigneto” with the project “Ponte al Quadrato”. From 2009 to 2011 he worked on the project of residential consolidation and strategic restoration of historical buildings and medieval church project for the reconstruction after 2009 L’Aquila earthquake. In 2001 he worked on structural reliefs of 22 sensitive buildings inside the NATO operating base in Sigonella (Sicily). In 2011-2012 participated to International design competition “Piazza D’Armi” in L’Aquila with the Italian architectural firm A. Aymonino, and the design contest “Cascina Merlata” in Milan in 2015 with ABDR Architects. In 2015, Rosario joined Borelli-Berta Architects based in Rome, working on some important designs as the project of the public area inside some skyscrapers in San Pietroburgo, the design and project of a private villa in Chengdu (China) in collaboration with Exclusive Design, a luxury design Italian firm based in Rome; the same year he contributed to design the concept of a mega yacht committed by a private owner. Rosario is a talented designer with experience in a range of project types and a variety of locations. He joined BA in 2015, bringing insightful design decisions to each of their projects and plays an essential role in many of BA’s projects, acting as liaison between clients, consultants in Asia, and the design teams in New York and Italy. The passion for the profession, and 10 years of activity gives him the impulse to create unique solutions according to the needs and tastes of many customers.